Caleb White, tennis player extraordinaire, needs a distraction from his recent decision to retire. 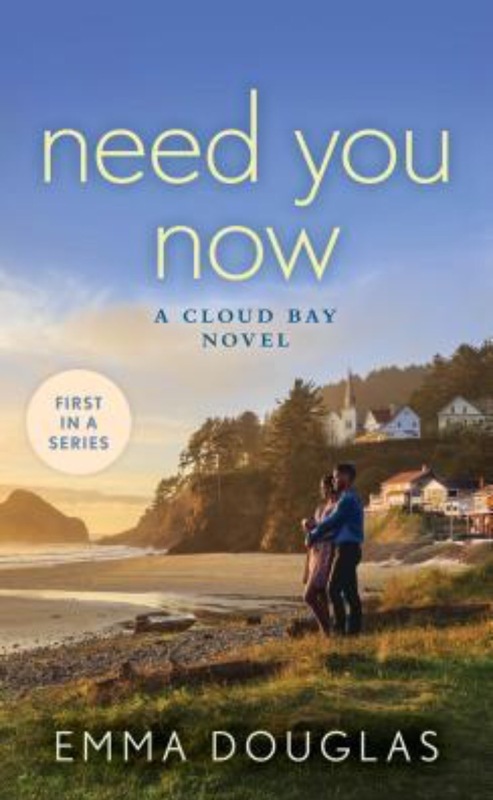 When he visits Cloud Bay he meets the perfect distraction — Faith. Faith runs a huge music festival, mostly because she’s the daughter of a famous (and deceased) rock star, but also because she’s really really good at it. I was hooked on Caleb and Faith, separately and together. But I wasn’t hooked on the music festival because music festivals just aren’t my bag. I kind of wished for more island-ish happenings – like catching rays, boat rides, and digging toes in the sand. But that’s just me. I have no idea how I thought this book was going to be about coastal living, but I was definitely wrong! I was right about one thing however – that Emma Douglas would give me a happily ever after. So there’s rockers and romance… and family dynamics, a little bit of dysfunction, some nice architecture (hello million dollar coastal homes), and a good look at ambition, which I loved. If you also appreciate outdoor festivals, rock band life, and all things musical, this book is for you.